1/30/2014–Sugar Valley, NC– On January 14th over seventy Civil Air Patrol cadets, senior (adult) members, family members and friends gathered at Sugar Valley Airport for the local squadron’s first “Dining Out.” Dining Outs are a CAP tradition where members celebrate their successes and enjoy the company of family and friends. 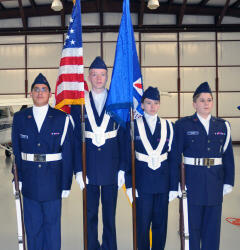 The newly formed cadet honor guard presented the colors at the beginning of the evening. During the evening members and guests were treated to a delicious potluck meal coordinated by CAP mother, Tammy Phillips. The “President of the Mess,” Maj. Matthew Phillips of Bermuda Run, presided over the program. Lt. Col. Orgain related several examples of how the squadron members, both seniors and cadets, are achieving advancement and rank at an extraordinary pace. A photographic history of the Sugar Valley squadron was shown and narrated beginning with photographs of the historic Davie County squadron in the early 1960s. The photographs were provided by retired CAP Lt. Col. James Williams of Salisbury, who worked with the Davie Squadron and who was a special guest for the evening. The night ended with numerous awards including the Cadet of the Year Award to C/SSgt. Benjamin Phillips of Clarksville and Senior Member of the Year award to Capt. Stephen Leighton of Farmington, the squadron Executive Officer. Capt. Michael Michel of Winston Salem received the Cadet Programs Officer of the Year Award for his work with the cadets. 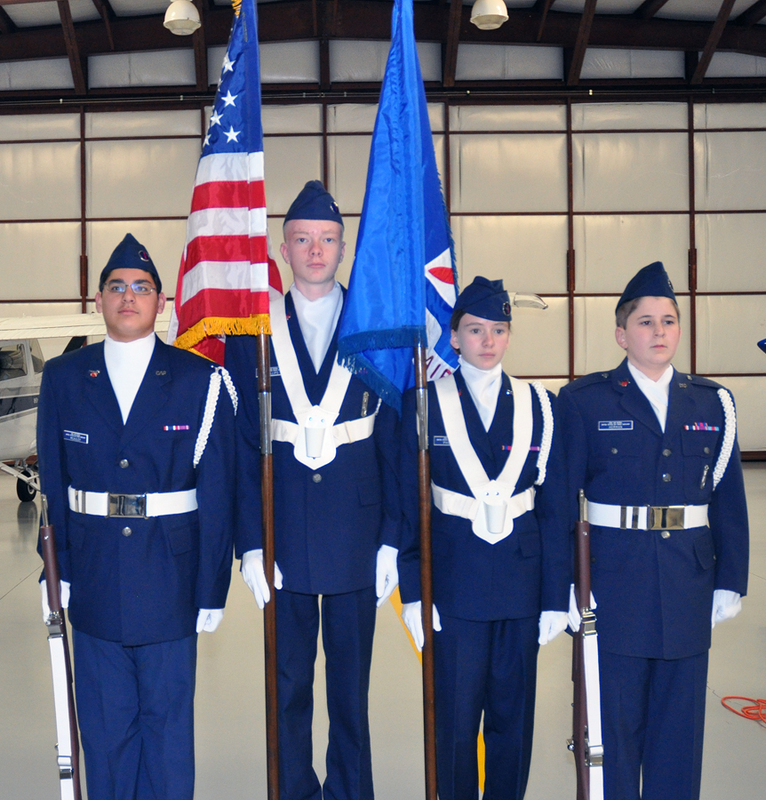 A special award of appreciation was given to Sugar Valley Airport for its support of the local squadron.